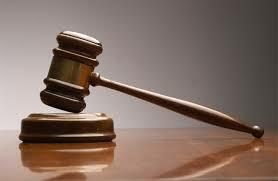 Two Harare women were hauled before the courts after allegedly attacking a pregnant woman and causing her miscarriage. Irene Musoko, 35, and Pamela Raphael, 31, of Makomo in Epworth were released on $50 bail when they appeared before Harare magistrate Ruramai Chitumbura charged with negligently causing serious bodily harm. They were ordered to continue residing at their present addresses and not interfere with witnesses as part of bail conditions. Prosecutor Peter Kachirika alleged that on April 16, Musoko and Raphael went to Aemar Gwere’s residence around 1 am to inquire about money they were owed by the woman’s husband. The court heard that they were in the company of two other women who are currently on the run. It was alleged that Musoko and her team began demanding that Gwere’s husband come out of the house. They claimed that he had stolen $700 worth of property from Musoko and a theft case had been opened at Epworth Police Station. The court heard that Musoko and her accomplices banged on Gwere’s door until she opened and stood behind the door fearing because they conducted themselves violently. They allegedly pushed the woman, hitting her in the stomach and she lost her pregnancy.